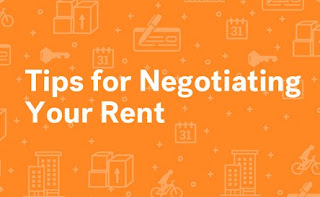 Rental Property Negotiation Tips - Making an offer on a property should be a well thought out, calculated process. We do not recommend blasting every listing with a 'lowball' offer, hoping something sticks.' Lowball offers are generally a waste of time and effort and, if accepted, it is probably the result of poor research and a hasty decision. An eagerly accepted low offer likely reflects that the property has serious issues that were deceptive to the quick buyer.' Proper property acquisition should be viewed in three processes, described below. Before making an offer on any property, we need to establish a maximum acceptable offer. This process involves establishing the property value and the capitalization rate. Establishing the actual property value starts with finding comparable property sales for your targeted property. A real estate agent should provide you with the comparable sales, but you should always verify them yourself. 'Zillow will list recent sales. You should review sales that our within a mile of your property and have similar square feet and features to your targeted property.' Be sure to drive by the comparable sales to ensure they are, in fact, equals. Capitalization rate is basically the net profit (gross rent minus all expenses, maintenance, property taxes, and property management fees, if applicable) divided by the cost of the property. The ideal capitalization rate for any property will vary in each market. Capitalization rate is dependent on many factors. 'Examples on how capitalization rates vary include: areas that have a higher appreciation will produce greater property equity which will allow for a lower capitalization rate; areas that are more transient (such as homes adjacent to a college campus will require additional time and labor as the unit is likely to turn over yearly or biyearly, resulting in a lower capitalization rate.' Establish the capitalization rate in your area by speaking to other investors or researching actual listed rentals and their property value. It is a good indication that you have calculated the correct property value, if that property value equals the capitalization rate for your area, as these numbers directly correlate. Once the property value and capitalization rates are established, we can then create our offer. I like to make my maximum offer between 12 and 18 percent below the true market value.' This will ensure that if you need to exit the property for any reason, you should not lose any money, as the real estate fees for your sale will be 6 percent and you will have a few percent in property acquisition costs (title fees and closing costs if applicable).' An offer in this general area will be viewed but the seller as not ideal, but possible. 'I generally recommend making my first offer my maximum calculated offer and I do not move from this price.' This ensures that my emotions or pressures from real estate agents won't put me into a situation I later regret.' In addition to the offer, understand what is valued to your seller and who your seller is.' A private seller probably doesn't care if the offer is cash or a loan.' HUD owned properties are similar, they will accept the highest offer regardless of how the funds are secured.' However, a REO (real estate owned) by a bank may value a cash offer, especially if the property is in disrepair. This is due to the fact that FHA (Federal Housing Administration) and convention loans are only available for habitable properties.' If it is a private sale and the property is vacant, the closing time probably has value to the seller.' Define your offer price to the seller.' Include your comparable sales plus bids for required repairs to seller allowing the seller to understand why your offer is lower than expected.' This tactic holds real value to REO properties where the seller is emotionally removed from the sale price, and the sale price only needs to be justified. Most people believe since we already made our maximum acceptable offer there, is really nothing to negotiate. But remember, the terms of the sale still hold monetary value.' This is where understanding the seller's situation can be exploited.' If the property is older, counter with accepting the offer in the 'as is' condition.' This holds extreme value to the private seller.' If the property is bank owned, reduce the closing time and include in the offer a 3 percent non-refundable earnest money.' The bank will realize that closing is extremely likely and, if it the closing falls through, they have cash to offset their carrying costs. Countering with the same price plus a closing concession reaffirms your price while providing the seller some additional value and another chance to accept your offer.' 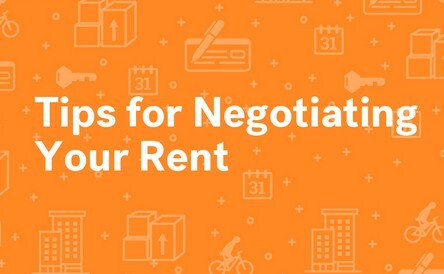 After you have exhausted all negotiations, inform the agent or the seller that the offer is good for 30 days, if the seller should change their mind.' Remember, some of the best deals are the ones we don't make and there will always be another opportunity.